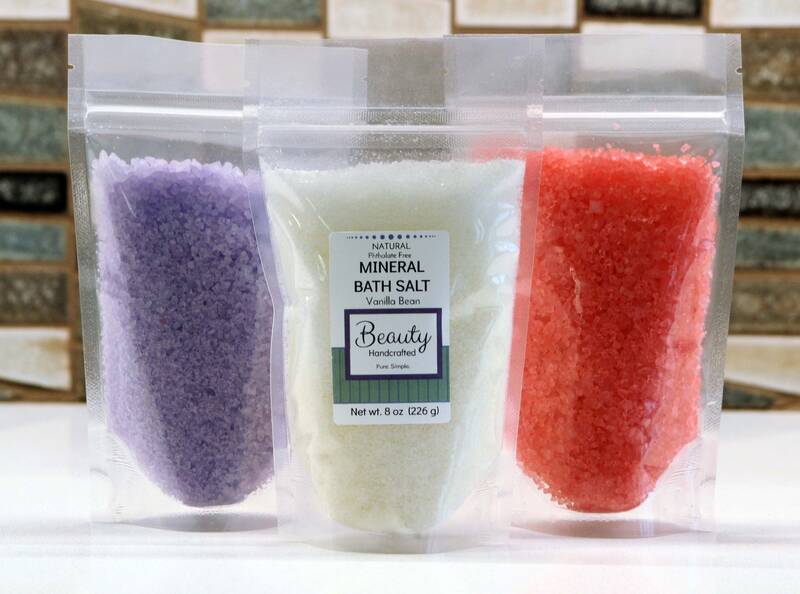 This is just what you need to melt away stress and body aches! 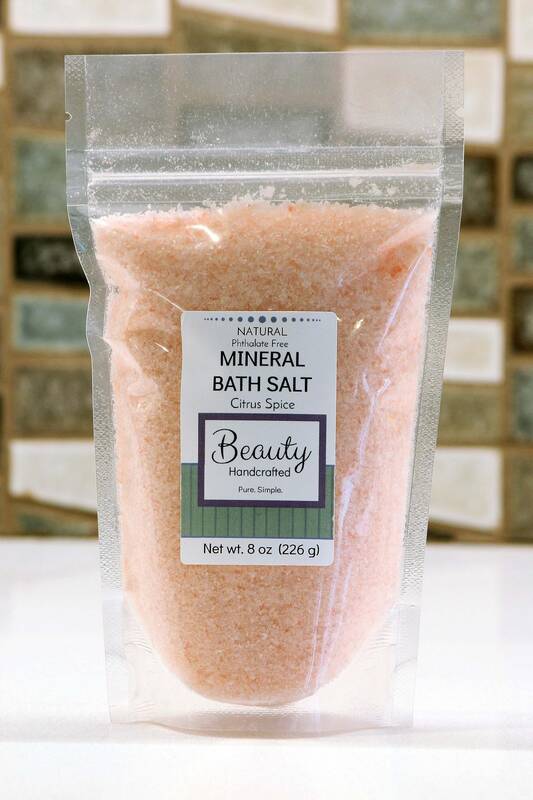 Perfect for soaking in the tub or use as a foot soak in a small basin. 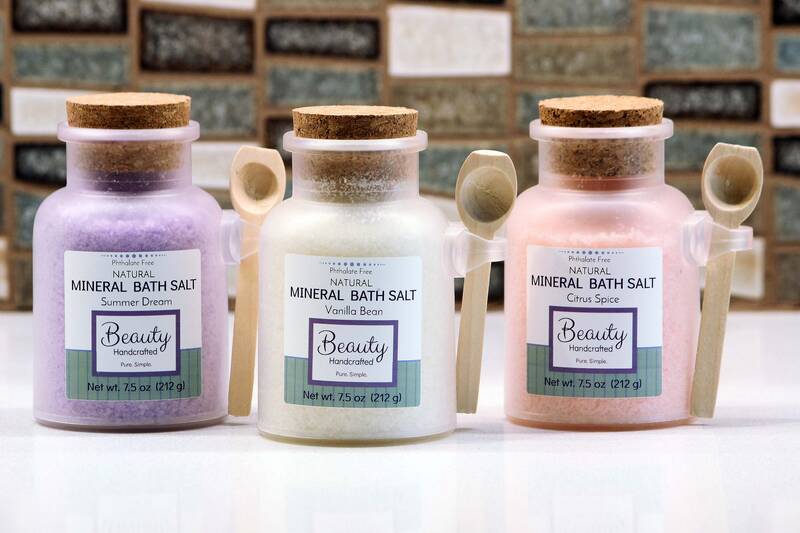 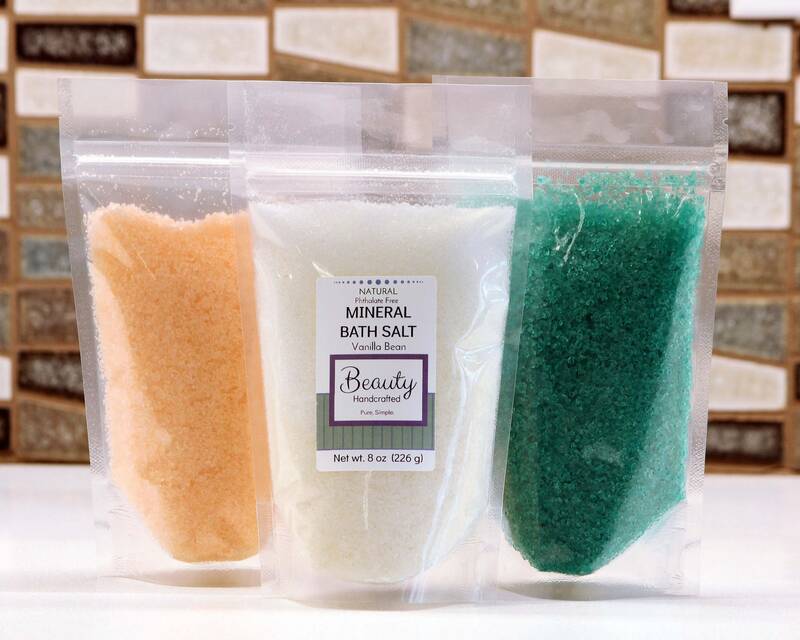 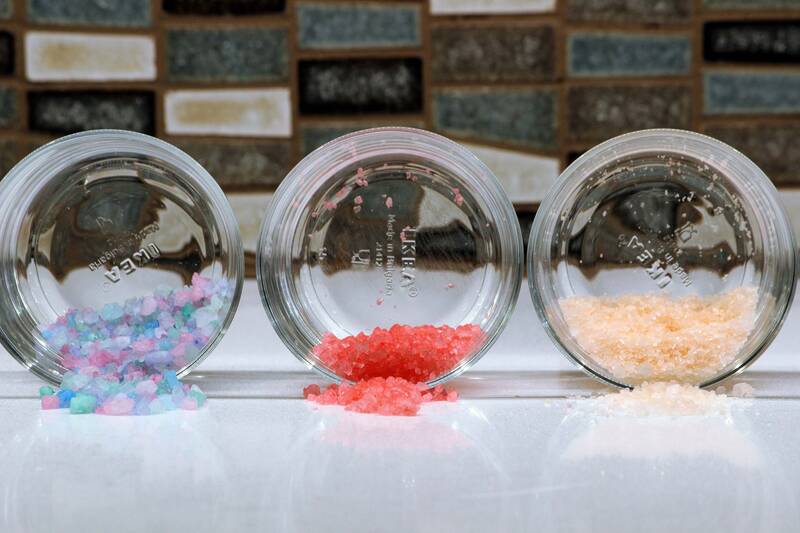 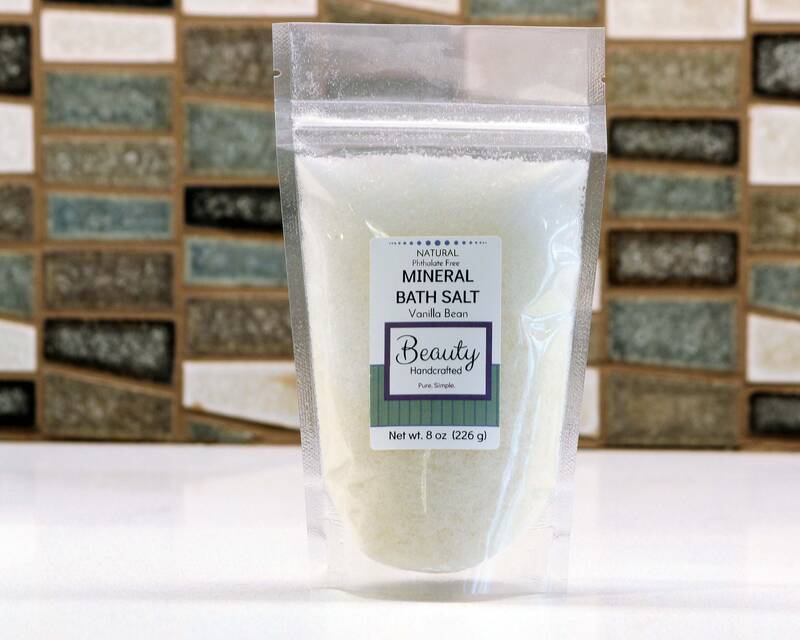 Made with natural sea salt, epsom salt, and aloe vera juice, this bath salt is incredibly rejuvinating. 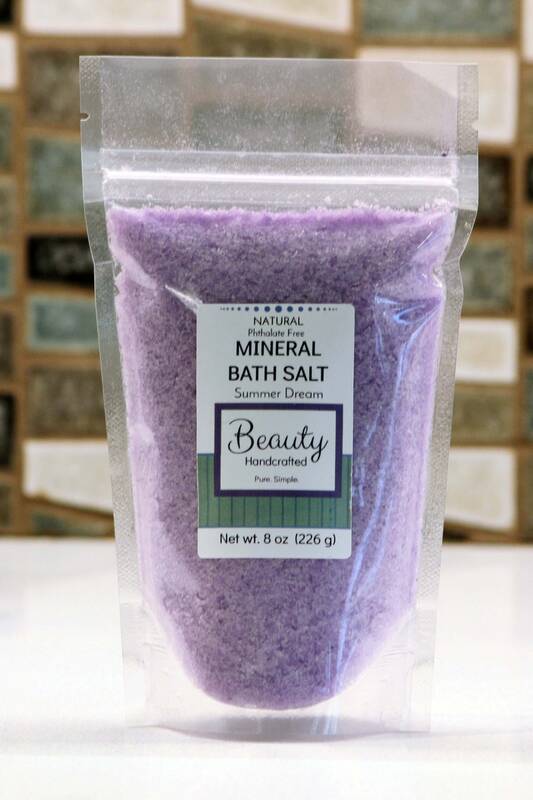 This listing is for a refill pack. 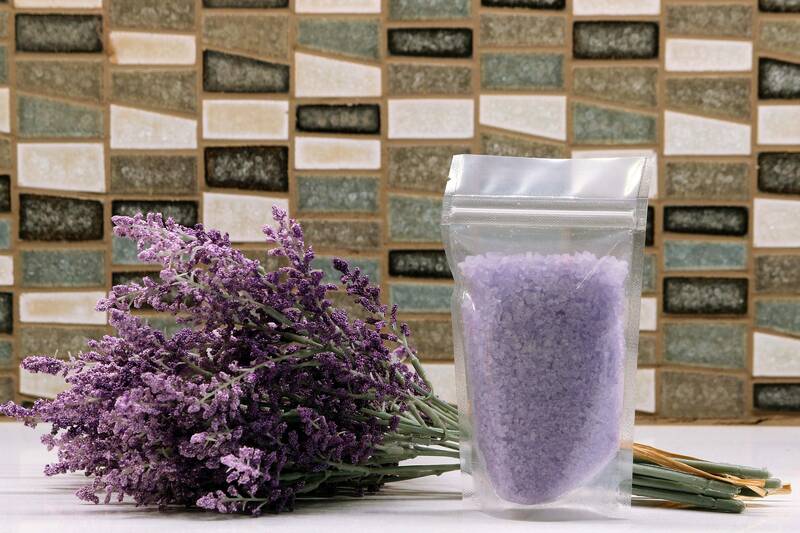 It comes in an 8 oz standup pouch. 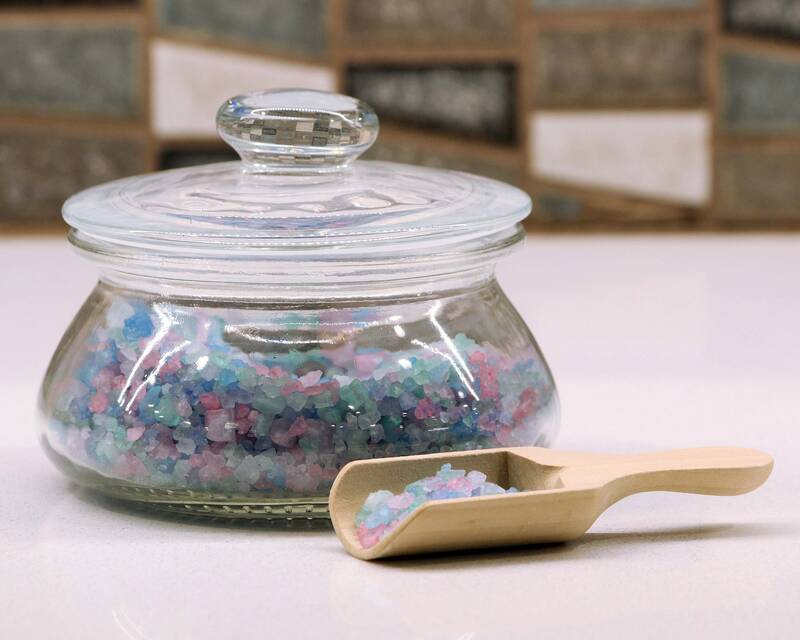 This size is designed to refill the standard bath salt container (pictured above - bottle with cork & wooden spoon). 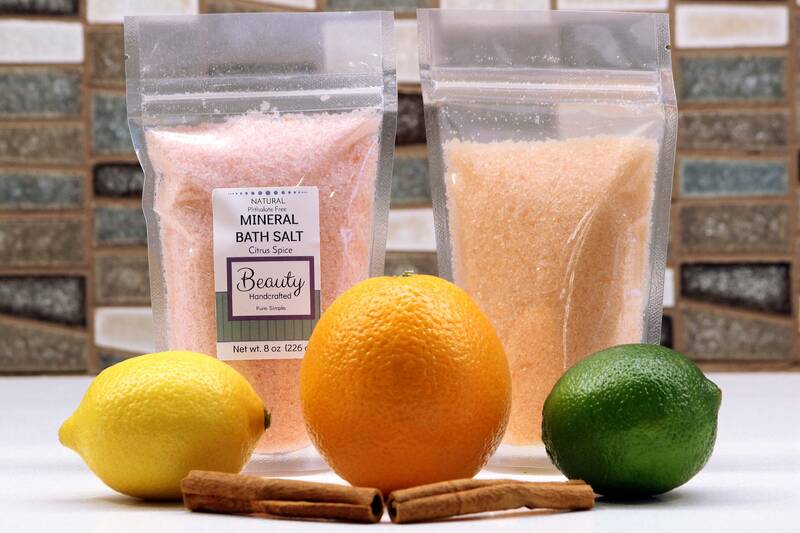 Pacific Sea Salt, Epsom Salt, Sodium Bicarbonate (Baking Soda), Dendritic Salt, Tapioca Starch, Vitamin E, Aloe Vera Leaf Juice, Water Based Colorant, Essential Oil and/or Fragrance.